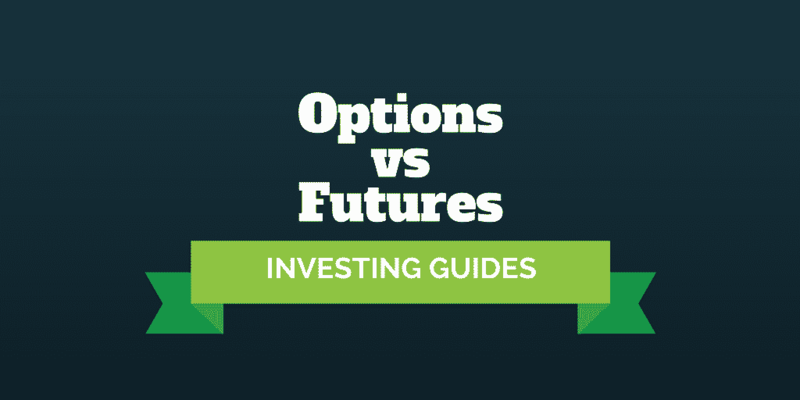 Home › Investing › Options Vs Futures: Which Is Right For You? Options Vs Futures: Which Is Right For You? Options vs futures, which is right for you? Both options and futures contracts can be traded to speculate on rising or falling prices and also as a hedge against existing positions. You can use both options and futures to bet on a wide variety of underlying assets, including stocks, bonds, commodities, and currencies. And no matter which you choose, you will need a margin account. With many similarities between them, how do you choose which is right for you, options or futures? When Should You Trade Options? What Are The Risks Of Trading Options? When Should You Trade Futures? What Are The Risks Of Trading Futures? Options Vs Futures: How Do They Compare? Both options and futures prices change as an underlying asset, such as stock, changes price. So let’s start by looking at how options compare to stocks, and then we’ll see how they contrast with futures. Options can be used to bet on rising and falling share prices. Just as you could buy stock to bet on a rise in share price or short stock to bet on a decline, so too can you buy call options if you have a rosy outlook or buy put options if you expect the future to be bleak. The difference between stocks and options is that stocks won’t expire but options will have a set expiration date. That means the calls or puts you buy will only have a fixed lifespan. If a stock doesn’t move up or down fast enough, purchased options can lose money and even expire worthless. However, when you buy an option that bets correctly on the direction and timing of an underlying asset, your percentage gains can be much larger than those from buying the asset itself. Because you can risk much less money to generate a much higher percentage return on your investment, options can be as lucrative as they are enticing. That quote applies to options too because gains and losses can be amplified when trading options. Just as you can make higher percentage returns on your money trading options, so too can your losses be amplified. A swing up or down by a few percentage points in an underlying asset can translate to a double-digit swing in the value of derivative options, if not more. To get up to speed on options, you will need to learn some technical jargon too. Options come in two types: calls and puts. And you can begin an options trade by buying or selling them. The same way you can bet on a stock rising by buying company shares or bet on it falling by shorting them, so too can you use calls and puts to bet on market movements. Where stocks and options differ is not only that options expire whereas stocks don’t but also that option values can change even if an underlying stock does not change price whatsoever! That’s because options prices change based on a range of factors, called options greeks: delta, theta, gamma, and vega. While it may feel like sledding uphill to get comfortable with options terminology, the rewards are worth the effort because you can learn how to proactively generate income via covered call strategies and protect stocks against downturns using married put strategies. Keep in mind that if you do trade actively, you may be at risk of paying short-term capital gains taxes, which tend to be higher than the long-term capital gains taxes paid by buy-and-hold investors. Plus, trading commissions costs may add up more quickly, even if you are with a top broker that charges very reasonable commissions like TD Ameritrade. Like options, futures are regularly used both to speculate on future price changes and to hedge against price changes in underlying assets. Most average Joe or Jane traders use futures to bet on stock market direction. They buy futures that will result in gains when a stock market index rises and sell futures, which is akin to being short the market, in order to bet on declines in prices. Businesses also trade futures, but generally as a way to hedge against price movements in underlying assets. An airline may hedge the price of oil by buying futures contracts. A farmer may lock in the price at which his crops are sold next season. Or an importer may commit to a currency price to avoid volatility in purchasing costs down the line. You can trade futures on a wide variety of underlying assets from currencies and commodities to stocks, bonds, interest rates, and even livestock! When you buy stock, you may be permitted to borrow money, called margin, from your broker. The most you can borrow is generally equivalent to double your cash levels, and this is known as 50% margin – meaning if you bought $100,000 worth of stock and 50% of the $100,000 was borrowed from your broker, such as tastyworks or thinkorswim, then you would be using 50% margin. Futures trading permits a trader to use up to 90%-95% margin. At the maximum level of margin, an underlying asset needs only to move by 5% up or down to double or wipe out a position respectively! So, when you trade futures you need to be especially careful about volatility and brace yourself for a wild rollercoaster ride that could be a house of fun or a house of horrors! Because of the large swings in account values that occur when trading futures, it is generally a good idea to use stop-loss orders so that your risk is defined and limited to a fixed level. A big difference between buying options vs futures is that options tend to have lower risks. For example, if you bought a call option betting the stock market would rise but it in fact fell, the most you could lose is what you paid for the call. When you buy a futures contract and the market falls, you may continue to lose money as the market continues to fall. You can also think of buying options as providing you with the choice to buy or sell an underlying asset. You don’t actually have to commit to the purchase because you can simply sell your option before an expiration date. However, when you sell options you will be required to following through on an obligation. For example, when you sell call options your obligation is to sell stock and when you sell put options your obligation is to buy stock. By contrast, when trading futures the buy and seller commit to a transaction on a certain date at a specific price. >> What Is A Stock Split? >> Is AutoZone Stock A Buy Or A Sell? ‹ What Does YoY Mean?